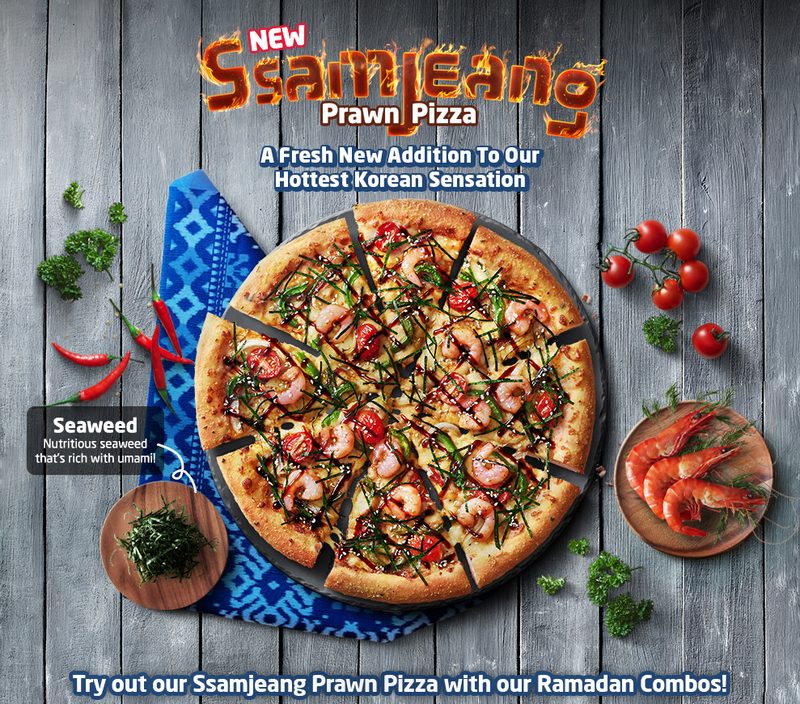 Hi Readers, Husniey wanna share the new flavors Ssamjeang Pizza and the promotions too. Before this husniey had tried all the flavors Ssamjeang Pizza Beef, Tuna, and Chicken. the fourth variant added to the range. 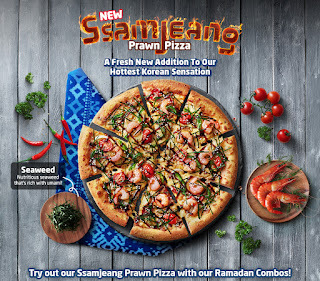 This Ssamjeang Prawn Pizza featuring springy, succulent prawns marinated with Italian herbs & spices coupled with nutritious seaweed that’s rich with umami flavour, fresh cherry tomatoes, green peppers, sprinkled with roasted sesame seeds atop the specially developed Ssamjeang sauce, the Ssamjeang Pizza is packed with well-balanced flavors and textures. Tak pernah lagi makan pizza Korea ni walaupun Domino ada je depan rumah. Hehe. Later nak rasa. 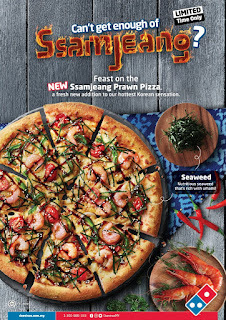 Ramai kata sedap juga pizza ssamjeang ni. Ana nak try next week lah. baru td dpt flyers dominos kat rumah ni. 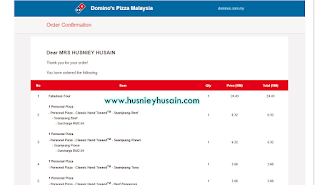 da plan, jumaat ni, Nurin balik asrama, kami nak order dominos pizza utk dinner. prefer dominos than pizza hut. sedap. 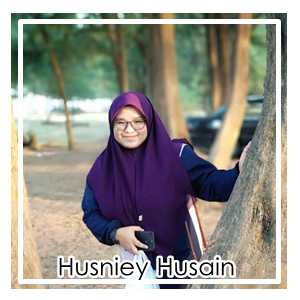 perisa nyer pun kena dgn selera.